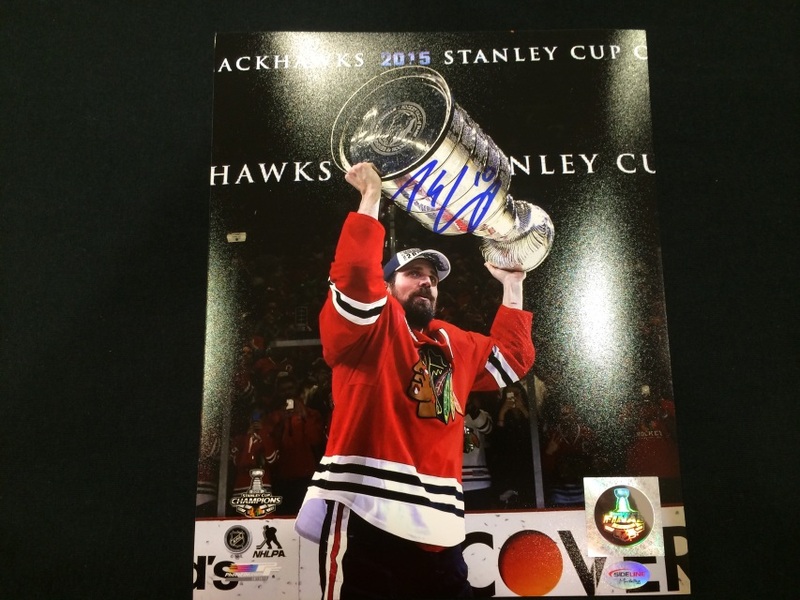 Patrick Sharp signed 2015 Cup 8×10. This photo has been hand signed by Patrick Sharp and comes with a certificate of authenticity. Autograph obtained through Sideline Memorabilia.